Folx is a free application for Mac that includes a download manager and a torrent client. Folx makes it extremely easy to download: simply open the page containing the file you want to download, click on the link in your browser and Folx will take care of the download for you. This application allows the segmentation of downloads into 2 parts, allowing to significantly increase the download speed. Its option to automatically resume interrupted downloads can also be very convenient, especially if your Internet connection has been disconnected. You can also assign one or more tags to the downloaded content to make it easier to find the files you are looking for. In addition, it is possible to optimize bandwidth allocation between different applications by manually adjusting the download and upload speed. 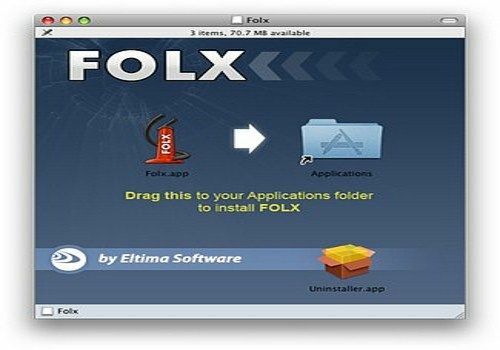 Folx is also available in a PRO version, offering practical features such as the segmentation of downloads into 20 parts, allowing you to considerably accelerate the download speed, schedule download tasksload according to your needs, let the application automatically manage the download speed according to the needs of other applications running on your computer, integrate your downloaded files with iTunes and search for torrents on the web directly from Folx. Nuendo is a software developed to meet the needs of audiovisual post-production professionals in various fields: video games, cinema, music, etc. Eltima Flash Optimizer compresses SWF files by up to 60-70% by providing full control over each optimization option.